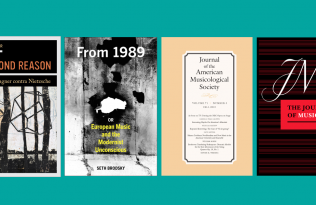 University of California Press is pleased to welcome the incoming editorial team of the Journal of the American Musicological Society (JAMS). The first issue of the new editorial team will be Volume 72, Number 1, Spring 2020. Kevin C. Karnes is a historical musicologist who studies sounding expressions of identity, difference, and belonging in eastern and central Europe from the eighteenth century to the present. His work explores archives and ethnomusicological fields, engaging projects in philosophy, anthropology, art history, sound studies, Baltic studies, and Jewish studies. His recent work includes Arvo Pärt’s Tabula Rasa (Oxford University Press, 2017) and a critical edition, Jewish Folk Songs from the Baltics: Selections from the Melngailis Collection (A-R Editions, 2014). His new projects include a book on the 1970s Soviet underground and the coedited 2019 Bard Festival volume, Erich Wolfgang Korngold and His World. Kevin is professor and chair of the department of music at Emory University. 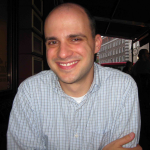 He has a PhD in musicology from Brandeis University, an MM in trombone performance from the University of Washington, and BS degrees in mathematics and management science from MIT. His work has been recognized with fellowships and awards from the American Council of Learned Societies, the Association for the Advancement of Baltic Studies, and the National Endowment for the Humanities. He serves as founding editor of the Oxford Keynotes series, published by Oxford University Press. 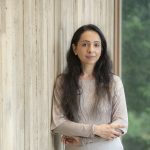 Gurminder Kaur Bhogal is the Catherine Mills Davis Chair in Music at Wellesley College. She has published widely on the music of Ravel, Debussy, Fauré, Stravinsky, and Satie. Her book, Details of Consequence: Ornament, Music and Art in Paris, was published by Oxford University Press in 2013 as part of the AMS Studies in Music series. She has recently published a second book with Oxford University Press called Claude Debussy’s Clair de Lune (2018). 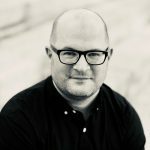 Jeffers Engelhardt (PhD, University of Chicago) is Associate Professor of Ethnomusicology at Amherst College, where he is an affiliate of Film and Media Studies, European Studies, and the Five College Certificate in Ethnomusicology. He teaches courses in ethnomusicology focusing on community-based ethnography, music and religion, voice, and analytical approaches to music and sound. 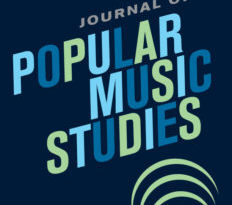 His research deals broadly with music, religion, European identity, and media. His books include Singing the Right Way: Orthodox Christians and Secular Enchantment in Estonia (Oxford, 2015) and the co-edited volume Resounding Transcendence: Transitions in Music, Religion, and Ritual (Oxford, 2016). His current book project is Music and Religion (under contract with Oxford University Press), and he is Editor-in-Chief of the Yale Journal of Music and Religion.